KFR's aim is to:- Refurbish furniture and white goods so that quality items are available to families with limited income. Revive communities by removing unwanted items, reducing landfill and supporting people into employment. "1 in 4 households incomes are below the minimum living standards" (Joseph Rowntree Foundation) and "since 2013 many of the social funds to support people have been abolished". With core inflation set to rise by up to 10% in the next 5 years it will push many further into debt and crisis. Many just simply cannot afford to replace broken items or furnish their homes. 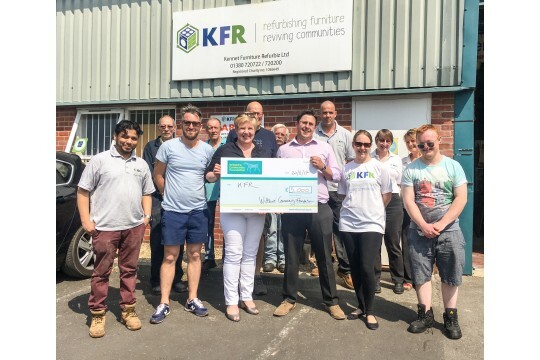 KFR are working with many partners and donors to address this and provide safe, affordable items to people within Wiltshire. We supply over 1200 homes a year with vital goods, enabling them to eat, sleep and live in their homes. We have a rapidly expanding network of organisations supporting us to reach those most in need but demand for goods often outstrips supply. Miriam, a cancer sufferer, was sleeping on the floor before Kennet Furniture Refurbiz were able to provide her a bed to sleep in. Now she is able to focus on her recovery. This is just one of the many stories we hear each week from those we support. Our volunteers are vital to our success. We welcome those from any background with mixed skill levels. To find out more please call us or visit our website.